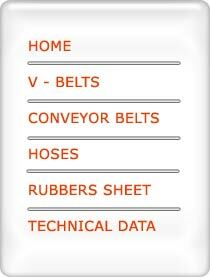 We are one of the leading manufacturer and supplier of V-belts, industrial transmission belts, transmission belts, conveyor belts, hoses and importers of chemicals across the globle. Our quality products are the best in the industry and accepted worldwide. Our aim is to provide customer satisfaction with our array of quality products.